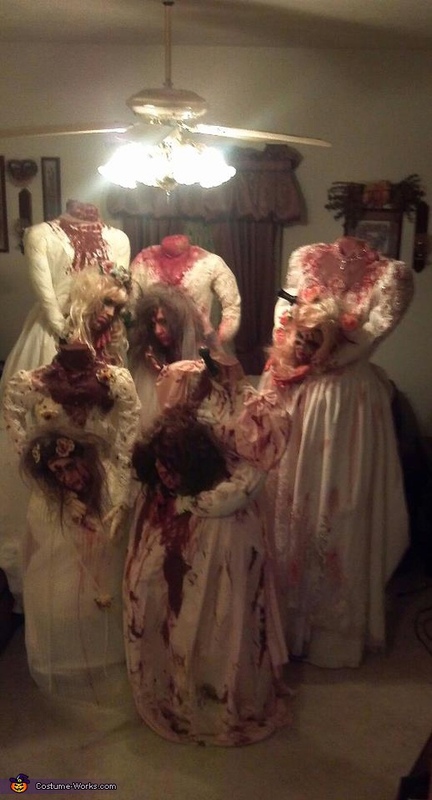 Me and 4 of my friends made headless bride costumes. We got the idea for headless costumes online and decided to be brides. Great costumes! Can you give me instructions how to easily do this? I found a few, but they were for kids, or complicated sounding.